We are really excited about the new Pentair IntelliFlo pumps. Intelliflo pumps are the quietest, most energy efficient pump money can buy. We are certified IntelliFlo pump installers. 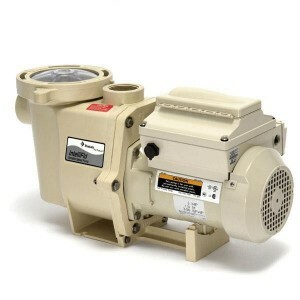 Call us today so we can show you how much money you can save by installing this great new pump. Slash pump energy use by up to 90%, saving hundreds per year. We’ve been installing Intelliflo pumps since 2007. Our customers are telling us they are saving as much as $100 per month on their electric bill where we’ve installed Intelliflo pumps. • Requires 220 volts to operate some older pools may only have 110 volts available. • The SVRS models may be a little fussy. They can sense pressure changes and may turn off when connecting a vacuum hoses or when turning valves. If this happens simply press the reset button on the motor. Since the time I began cleaning and repairing pools in 1984, I think the Intelliflo pump has been the single greatest advancement to come to the pool industry. It gives me great satisfaction to know I can install a quality pump and save my customer hundreds if not thousand of dollars over the lifetime of the pump.